By the numbers: The CHD brought 40 witnesses from 10 countries to the National Press Club in Washington, DC to testify for 30 hours over 5 days before 6 former members of the U. S. Congress. The price tag was $600,000 provided by a film production deal and not a grant. There were six strategic goals for the CHD: 1) undermine the White House OSTP statement of November 4, 2011 regarding the complete absence of evidence for an extraterrestrial presence or the withholding of relevant information by the government; 2) prompt the U. S. Congress to hold its first hearings on the subject since1968; 3) motivate the mainstream political media to begin appropriate investigative coverage of the subject; 4) inform the executive branch it risks not being the first nation to Disclose an ET presence; 5) increase awareness of the Disclosure movement around the world; and 6) add a UN initiative to the advocacy matrix. All of these goals were advanced and the stage is set for more truth advocacy, the primary goal of which is nothing less than Disclosure this year. Media engagement of the CHD was significantly impacted by the tragic events in Boston. Nevertheless, there was extensive print and video coverage which is being chronicled on the website. The live and archived webcasts will help ensure more coverage going forward. The CHD was webcast and archived in English and Spanish. Additional languages will be archived later this year. Webcasting is a developing technology. It is not like television. With so many types of computers, operating systems and Internet access, the spectrum of user satisfaction is broad. And then there are the pay portals. Many of the user issues were caused by two factors: 1) subscribers received two emails: one from PayPal with the receipt and one from CHD with the access password, and 2) often one or both of these emails were diverted to the subscriber's "spam" or "junk" email boxes. Additional language has been added to the webcast pages alerting subscribers to these issues. Therefore, we the undersigned request the Citizen Hearing Foundation use its offices to organize interested parties and raise the funds necessary to pursue a global campaign to convince one or more nations to propose a resolution within the General Assembly calling for United Nations sponsorship of a world conference addressing the possible evidence for an extraterrestrial presence engaging this planet. The Citizen Hearing Foundation will begin raising funds immediately to implement this mandate to seek a world conference sponsored by the United Nations. Since few here seem to understand research on their own and seem incapable of finding things on their own, and since they seem annoyed by the posting about the Peruvian pilot, Comandante Oscar Santa Maria Huertas (Ret), let me add additional information. For those interested, I spoke to the man in front of the National Press Club in Washington, D. C. on the afternoon of May 1, 2013. He showed me a copy of the Department of Defense document that recounted, very briefly, the events of his chase of a UFO. That document has been scanned and added here for those who seem to have no Internet search skills. On May 2, 2013, Huertas appeared in front of the former members of Congress and told his story of the intercept. He made an opening statement and then was questioned about it. That was the first two sessions of the day and no, he was not the only member of that particular panel. That session may be archived with the others on YouTube and would be first-hand testimony given that you can watch Huertas make his statement in front of the cameras. 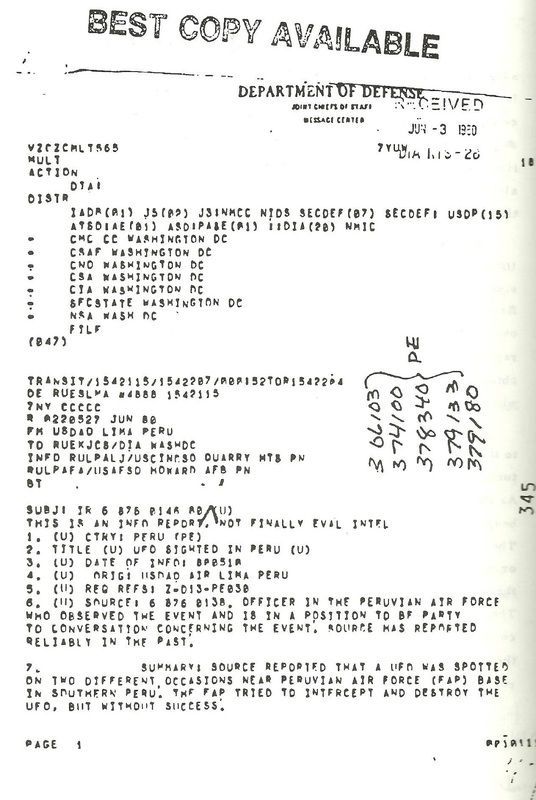 Leslie Kean, in her book UFOs: Generals, Pilots and Government Officials Go on the Record, printed an account written by Huertas of his experiences on April 11, 1980. This would be first-hand testimony given that Huertas wrote it himself. For those who seem to need other sources, though the above would seem to be enough, Timothy Good, in Above Top Secret printed a short account of the intercept and the document from the Department of Defense… oh, you can’t be bothered to look in the index? The account is on page 324 of the US Hardback edition and the document on pages 503 – 504 of the same edition. 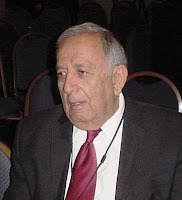 Cliff Stone, in his self-published book UFO’s: Let the Evidence Speck for Itself, published a short account on pages 106 – 107 and the documents themselves on page 120 – 121. My posting was based on my discussion with the pilot, with the statements he gave in Washington, D. C. and to Leslie Kean, and the Department of Defense document that shows something happened and that it was interesting enough to be put into a message to the DoD. I will note that I neither endorsed the case nor debunked it. I provided an account that included statements that Huertas had made to me, made in one of two forums, and on what was said in the Department of Defense document. For those unable to figure out the various codes on that document, I will note that this was prepared by the Defense Attaché, who in other times and in other countries would have been called the Military Attaché or the Army Attaché. I will further note, for those who have not had the pleasure of serving as a military pilot, that the capabilities of aircraft that are published are not necessarily the limitations of that aircraft. In military aircraft there are capabilities that allow it to exceed the printed information which might become useful in a combat environment (which is not to say that Huertas was engaged in combat with the UFO). Once you exceed those limitations, you could seriously damage the aircraft. I think of a MiG-25, that far exceeded what everyone thought it capable of, but when it landed and was inspected it was found the pilot had seriously damaged the engines. The point being, and given that Huertas was the pilot, I have no reason to doubt his estimates of speed and altitude. In the end, I used first-hand testimony and quoted from some of it in preparing the posting. I used a government document and quoted a single line from it. I made reference to that document which I had in hand as I prepared the posting. Now, all the information I have is out there and I can move on to other things (or rather, I can get back to finishing a book that is due in a couple of weeks… and for those interested, it is basically written. I’m doing the rewrites, cleaning up the manuscript and attempting to make sure that everything tracks). I thought this an interesting little anecdote and because someone had asked for additional information, I thought I had supplied enough for that person to learn all he wanted. This was a case from Peru (where, BTW, FOIA doesn’t work) and the first-hand statements by the pilot could be accessed… so much better than the accounts in other books that might have been misleading. While in Roswell a couple of years ago, I shared, briefly, a table with Robert Salas of Malmstrom missile fame. He was a little more serious about selling his book than I was in selling mine and at one point he snapped at me for joking with the UFO museum patrons. I hadn’t spoken to him since that time in Roswell. I mention this for the context it will provide for some later comments here. At the recent Citizen Hearing I saw him again. At the Sunday evening dinner for those who were participating in some fashion… that is, the former members of Congress, the witnesses which included researchers, and those volunteers who helped Steve Bassett to organize the Hearing, I made my way up front to speak with Bassett. On my way back I passed the table where Salas sat. He looked up at me and I said, “You can say, ‘hello,’” which, of course he did. The next day, we ended up on the bus arranged to transport everyone from the hotel to the National Press Club and back. We were the only two on it, and we spoke again, briefly. I asked him a couple of questions about what had happened at Oscar Flight in 1967. I have said it before and I’ll say it again. If Salas was alone in his claims, then we could reject them simply because you’d expect others to have had similar experiences. Of course, there was a series of UFO sightings near Belt, Montana on the day that Salas claimed the UFO caused the missiles of Oscar Flight to “go off-line.” And, there were the documented events of Echo Flight which had happened just days before when all ten of their missiles did the same thing. 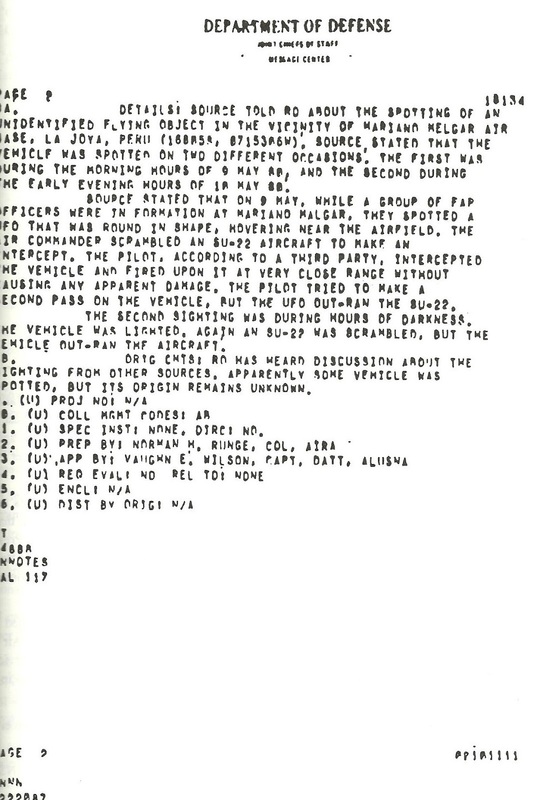 In other words, Salas was not alone, and the other man in the capsule with him at the time, Fred Meiwald, confirmed the event. There was a minor discrepancy. Salas said all the missiles had gone off line but his boss, Meiwald said only four or five. In the original information, Salas, according to what he said to me, “Split the different and I said eight.” He now has said all ten were involved. Swearing in of the Missileers at the National Press Club in Washington, D.C., May 2013.
added weight. In fact, Salas appeared in Washington, D.C. with two other officers who had been assigned to missile flights at other military bases who had experiences with UFOs. In other words, there are a number of reports of this sort and contrary to what the Condon Committee said this was a matter of national security. I suppose I could point out here that all said they had been required, at the time, to sign nondisclosure agreements. They wouldn’t reveal what they knew and would not talk to others at their bases about this. It was a way to keep the information from spreading among the missile crews. At any rate, we chatted on the short ride from the National Press Club to the hotel. Salas gave me a little more information and a slight preview of what he would say the next afternoon in front of the committee. I was there to watch, listened to Salas as he reported what he had seen, heard and done, and then listened to two other officers say some of the same things. UFOs had penetrated the missile sites and shut down the missile guidance systems. If an outside source could do that, it was a matter of national security. At the time, if the Soviets had been able to do that, they could have rendered our entire strategic missile system useless. They could shut it down from outside the system and prevent retaliation. But, of course, they didn’t have that capability, but in the 1960s and the 1970s, nobody knew that for certain. It was sometime Thursday afternoon that I bumped into Salas again. It was just after several men from around the world had told of their experiences with UFOs and their governments attitudes about UFOs had testified. Salas came up to me and wondered if I could help him sell some of his books… It was a joke, related to what we had our spat about in Roswell. For those interested, his book is Faded Giant written with Jim Klotz is available at Amazon and probably other on line bookstores. The real point here is that Salas opened the floodgates on this one aspect of the UFO phenomenon. He was among the first to talk about UFOs interfering with US missiles. Others, such as those who testified with him, and Jim Penniston and John Burroughs who had testified that morning, suggest that UFOs have interfered with our atomic weapons (which, I must point out here might not be a bad thing but that slides off into the realm of political opinion and not relevant here). All of that made for compelling testimony (and now we can hear that Rendlesham was a lighthouse and rabbit holes), and even if it was not alien in nature, national security was involved. Someone, or something, had caused the trouble at the missile sites. Say what you will about Salas, he is not stand alone… and for me, he seems to have mellowed a little bit as well. Such is the world in which we travel. At the Citizen Hearing on Disclosure, Merrill Cook asked a question that, at the time was confusing for those of us facing him and his former congressional buddies. He wanted to know, as near as I can figure now, if anyone who claimed to have seen the bodies of the alien creatures had mentioned it in 1947. We all struggled with this as he kept talking about it and we thought of military men who had seen the bodies but who had said nothing until years later. We didn’t think of anyone who had talked about it in 1947, or how we could expect to find anything about that now? The committee listening to testimony at the Citizen Hearing on Disclosure in Washington, D.C., May 2013. Of course, a letter or diary that was written at the time would be one way, but the only diary I have ever found that was reliable was that of Ruth Barnett. There was nothing in it to suggest that Barney Barnett had seen anything unusual in 1947. Stan didn’t mention Gerald Anderson, I suspect because he was flanked by Don and me and he believed we would challenge that. Besides, Anderson had admitted to faking one document when confronted with the evidence of that forgery. I looked at Don and he looked at me. We both thought of Edwin Easley, the provost marshal, but I had nothing from him to suggest he had talked about the bodies in 1947 to anyone. Sitting beside me was Jesse Marcel, Jr., but according to him, his father had never said anything to him about bodies. The one person we didn’t think of at the time was Frankie Rowe. For this discussion, it doesn’t matter what you think of her tale, and I don’t really want to hear about Karl Pflock’s “evidence” that she wasn’t telling the truth. We know that some of his evidence has been debunked. 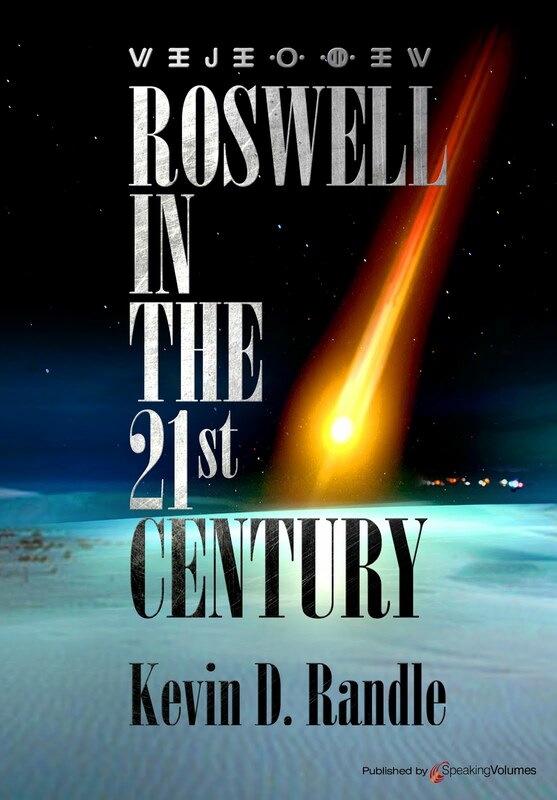 Anyway, according to Rowe, her father, a fire fighter with the Roswell Fire Department, told her, and the family, that he had gone out to the crash site, and that he had seen the bodies of the alien creatures. Rowe said that her father described creatures as small and hairless. This would have answered the question for Cook. Someone who, in 1947, talked about the alien creatures. One of the fire fighters, when interviewed several years ago, also mentioned that Dwyer, Rowe’s father, had told him, in 1947, some of what he had seen. Sometimes, we all get lost in the weeds. Neither Don nor I thought of Frankie Rowe in front of that committee. It would have been nice to have her sitting at the table to say, “Yes, my father told me about them that very night.” It would have been a powerful moment. 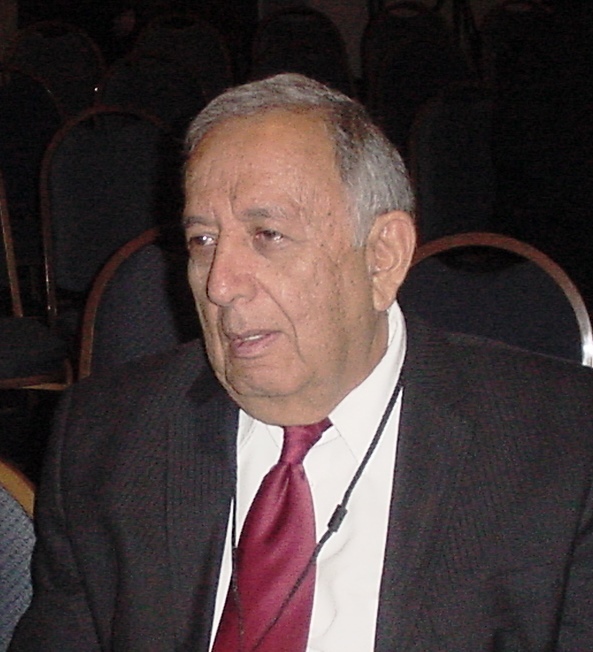 When I read that former Congressman Merrill Cook from Utah, one of those at the Citizen Hearing on Disclosure, had said, “I do not believe there has been any strong, credible evidence of [alien visits] at this point but I do think there has been some credible evidence of things that are unidentified that had been flying about,” I was disappointed. But then I thought about what he had said and realized that it was quite fair. Cook, who asked some very convoluted questions, hadn’t dismissed the idea of alien visitation but had suggested that the strong evidence hadn’t been presented. Of course that was correct. Had there been that sort of physical evidence, then the conversation would have ended at that point and we could move onto the next phase. There were some very persuasive documents presented. 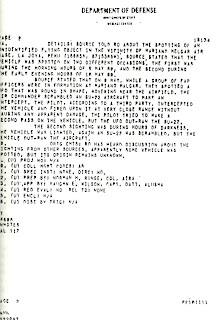 In one case from South America, a pilot, Comandante Oscar Santa Maria Huertas (Ret) of the Peruvian Air Force, who had fired on a UFO described the event. He had two pages of an official message about it. It said that he had fired on the UFO without results and I realized that could have meant he missed, so I asked. Using a 30 mm cannon on his SU-22, he had hit the object when he shot at it. The rounds had no effect, and the object seemed to “absorb” the ammunition. Make no mistake, a 30 mm round is huge and explosive. While I was on the “hot seat” along with Don Schmitt and Stan Friedman, Cook asked if anyone in 1947 had seen the alien bodies, but it wasn’t clear if he wanted to know if someone had discussed it in 1947 or if he wanted to know if someone there in 1947 had seen them. Each time we tried to offer an answer, he seemed to change the question by adding qualifications or modifications to it. The answer was, of course, that none of us were around in 1947 (other than Stan) to gather evidence. However, Dan Dwyer had told family members in 1947 that he had seen the bodies, describing them as small humanoids. This is the Frankie Rowe tale. She said that her father came home after seeing the crash site and told them of the little men he had seen. Later, Rowe’s sister, Helen Cahill said that sometime around 1960, she asked her father about the story and he told it to her. Does that make Rowe’s report true? No, just answers the question that we do have some testimony for that. There was also Beverly Bean whose father, Melvin Brown, told her during the first moon landing that the UFOs were real and he had seen the bodies. 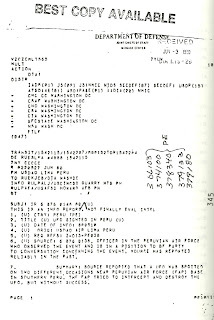 There is another version of this that suggests he told her sometime later, but the point is that he was apparently saying these things prior to the publication of the Roswell information (and yes, both her sister and her mother have confirmed that Brown said these things, which, again, doesn’t make them true, only that he said them several times over the years). I mentioned Edwin Easley and what he had said to family members, but, of course, this all came about in the early 1990s. So, we had the names of people who seemed to have passed word of the bodies in 1947, and the names of people who had been there, in Roswell in 1947, who mentioned bodies to family members at some point after that. We had the answer to the question. We just didn’t articulate it well. We did a poor job of answering the question for Cook and that is our fault. And before I get comments telling me that the testimony is in dispute, that we’re dealing with memories that are now decades old, and that we have some tales that have been disproved, I know all that. The question might have been had any of these people talked about bodies in 1947, and the evidence says that they did… but the proof is not there. And he had a tendency to cut off an answer and ask another question, or maybe the same question a different way, which added to the confusion. He asked some convoluted question about the American Academy of Sciences and their endorsement of the Condon Committee report. I should have said that they had not engaged in a proper peer review because if they had, they would have noticed that 30% of the cases were unexplained. Worse, if possible, one was explained as a natural phenomenon so rare it had never been seen before or since but didn’t identify what that might be. The real point is that we can prove the cover-up with documentation that has been declassified and documents that are clearly false. How else to explain the Air Force response to Senator Jeff Bingaman when he asked about Project Moon Dust? He was told that such a project never existed. Well it did and continues under another name (and no, I don’t know that name). So Cook wouldn’t say that we proved to him that we have been visited, but we proved enough that he thought there is credible evidence that something unidentified is flying around. That might be splitting a hair, but I understand what he was thinking when he said that. Besides, he agreed that something unidentified was flying around and that is more than enough. Had we had more time, had we brought other documents, had we provided more sources for the information, we might have done even better. For now, this is enough. Something unidentified is flying around and shouldn’t we attempt to find out what it is? I have disagreed with much of what Dr. Steven Greer has done over the years. I suggested that he vet his witnesses with a little more enthusiasm and have found a few flaws in some of the witness testimony he has gathered. 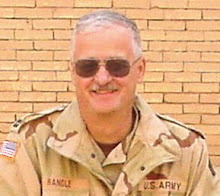 As a single example, he has an Air Force officer who talks about seeing a classified document come through the message center that describes a UFO crash. That is true. 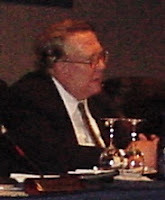 Greer at Podium in Washington, D.C. The problem? This refers to the Spitsbergen UFO crash. Several messages were exchanged in the early 1950s by various government agencies. Those messages have long been declassified and the crash has long been discredited. This specific case does nothing to advance our knowledge and gives us nothing of value. The tale is true, the officer did see the messages but they have been available to UFO researchers for decades. Greer has a new passion that is Sirius. This is a feature length production that covers a great deal of territory, though my interest was in the remains of a little creature found in Chile a while ago. It is about six inches tall and according to reputable experts, lived to be six to eight years old. True, I wasn’t all that interested in the discussion of the energy policies of the government, nor in the ways that energy can be produced without damage to the environment and little expense. Yes, that could potentially be of greater value than the little alien or little creature, but that was what I wanted to know about. Greer took the podium and gave us an abbreviated lecture. He told us that many in the media, who had seen an advance copy of the movie, or had viewed it on the Internet before it was removed, said the DNA proved the little being was a human. But that wasn’t quite right. He noted that our genetic makeup matched that of the Neanderthal to more than 99% and that we shared 97% of our genes with the great apes. This little creature had a genetic makeup that was about 90 or 91% of ours. That left some 9% that was unidentified. 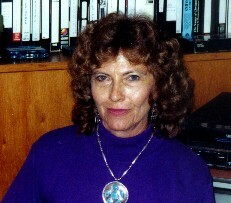 Greer said that this could be caused by problems with the computer analysis; it could be bad sequencing, or just damaged genes. There were many plausible answers for this discrepancy, but at the moment, there were none. Experts in genetics, top scientists in the field at prestigious universities were intrigued by these problems. In fact, one of them, Garry Nolan, director of stem cell biology at Stanford University's School of Medicine in California, said that it wasn’t a monkey, that it had lived to six or eight based on an examination of the bones, and that it had been a living, breathing creature. In other words, Nolan, with the proper scientific credentials is just the sort of man you’d want to examine something like this. And, as he pointed out, the creature, little human, tiny alien, whatever it might be, shouldn’t have been able to survive years given its size. You could say that it was some sort of mutation that survived birth. A single example of a mutation that didn’t live long enough to reproduce, if it had ever been able. Greer, however, said that they may be other examples and he is chasing them down. One, in Russia, might have been seen alive by people who are still alive. In other words, there might be some very exciting evidence that these little things exist in the world today. So, I found his documentary interesting, which is usually code for “I didn’t like it much but don’t want to say anything bad.” What I mean is that I didn’t agree with some of what he said, did enjoy the various clips of UFOs shown, and was very interested the information about the little being. Parts I ignored and other parts that I watched carefully. But the point for me was the analysis of the little creature. Greer made it clear that the analysis was continuing and the final answer, if we get there, will be fascinating whatever it is. The Citizen Hearing on UFO Disclosure being held at the National Press Club in Washington, D.C. is now half over and I’m astonished at the abuse thrown by those not in attendance and the press seeking out the few who are members of the lunatic fringe. I have heard, repeatedly, about two who showed up wearing headbands with crystals but I never saw them (other than in a newspaper photo), and I have seen references to tinfoil hats which are not in evidence. On the flip side, I see people smeared by association, called out because their views don’t match those of others, or something their children might have done. 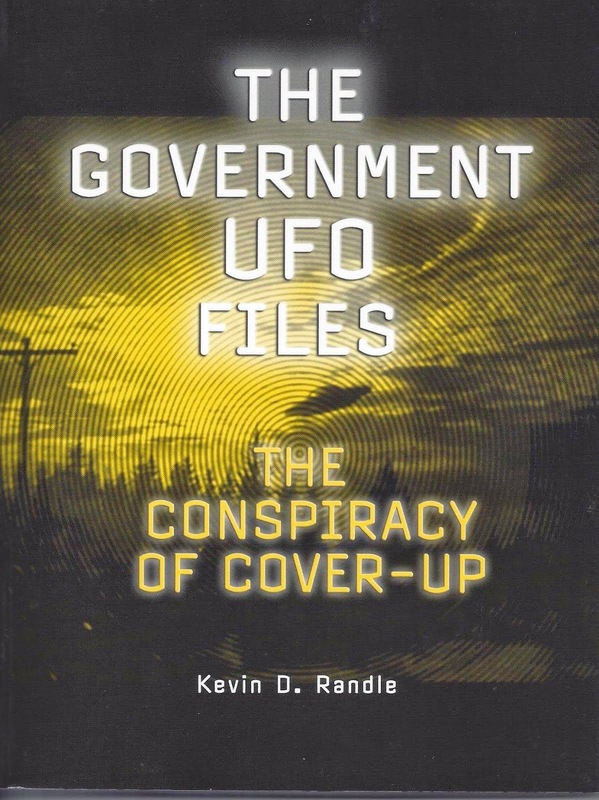 What it repeatedly overlooked, is the documentation presented, the credibility of many of the witnesses such as retired Air Force sergeants John Burroughs and Jim Penniston who were at the forefront of the Bentwaters encounter in 1980. Robert Salas, along with retired Air Force captain David Schindele and former captain Bruce Fenstermacher, who provided testimony about intrusions of UFOs over nuclear launch facilities and the momentary disabling of minuteman missiles, to name a few. I have listened to the testimony of these men, I have known some of them personally for years, and I know the documentation supports the stories they tell. You might quibble about the alien nature of the encounters, but the documentation supports the events. Something happened at Bentwaters in 1980, missiles did mysteriously go off line at Malstrom Air Force Base in 1967, and national security was compromised. Again, you can argue the alien nature, but the events happened and they can be documented through government records. But the media, or rather many of them, arrive with their preconceived notions, and rather than talk to the witnesses about what they saw, the researchers about what they have learned, the media look for a loon or two and then imply that the majority of those in attendance fit into that category. Stan Friedman mentioned to me this morning that he had an email from a colleague? friend? acquaintance? Who felt the urge to ask how Stan could call himself a scientist…? nothing like rejecting an idea without looking at the evidence and attacking those who suggest that such evidence exists. Each of the former senators or congressional representatives have mentioned the negative comments made to them, of the ridicule directed at them, and the bad press they have received. Few seem willing to listen to the testimony of those who have had documented experiences because it is simply too easy to look down their noses at those whose views do not agree with their own. What I’m saying is that no one is looking at the information being shared by credible people, no one is asking if the health problems of some of the witnesses is not related to their UFO encounters, and no one is asking to see the evidence and the documentation. No, they’re just more interested in displaying their superiority by making snide comments, tarring everyone with the same brush and ignoring the evidence. Or worse still, printing pictures of those painted green who weren’t at this event. That picture was taken somewhere else at some other time. True, there are those here whose views I do not share, but if I avoid this venue, then my voice is silenced. If I do appear, then I join those in the tinfoil hats as some sort of kook, at least in the eyes of those offended by the Hearings. Before you ask, yes, I listened to Steven Greer and found him to be quite entertaining. The audience was with him as he spoke and he is quite charismatic. I watched Sirius, and thought it spent way too much time on alternative sources of energy. I wanted to hear about the little alien, or maybe I should say, unusual little creature found. True, 90% of the DNA matched that of humans, but then some 9% didn’t, which doesn’t prove an alien connection. It is anomalous and interesting enough to engage very credible scientists at some very prestigious universities. That fact somehow gets lost. In the past I have seen people review books without reading them, make statements about events they know nothing about, and offer opinions that are ill-informed. I wonder why those people do those things. Wouldn’t it be better to listen to the testimony, look at the background and the credentials of the witnesses, and then decide whether the effort was worth it? Why pass judgment before you see the results?